Let Us Improve the Property Value of Your Home with Our Professional Roofing Services. 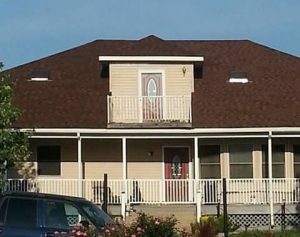 Thompson Roofing & Reconstruction is dedicated to bringing quality roofing services to Osage Beach and Lake Ozark, MO. We are committed to providing excellent customer service and making sure our customers’ expectations are met every step of the way. 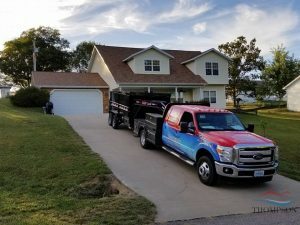 If you need roofing services in Osage Beach and Lake Ozark, MO or one of the surrounding lake communities, give us a call today 573-789-8367. We provide a variety of roofing services to best meet the needs of our customers. Flat Roofing is seen most often on large commercial businesses although it is beginning to gain popularity among homeowners. It is important to have experienced professionals install flat roofing materials so you know the job was done right the first time! Metal Standing Seam is a high quality roofing material that is considerably more durable and weather resistant compared to asphalt shingles. It is also highly resistant to rot and is low maintenance. Shingles are by far the most popular and budget friendly roofing material used in the United States. We recycle the shingles after our roofing jobs are complete, and they are then used to build new roads and highways! Vinyl Siding is a great way to give your home an updated look and is an easy material to maintain. Soffit and Fascia are prone to water damage and it is recommended that it is inspected regularly for leaks. This preventative measure will keep you from having to make costly repairs to your roof in the future. 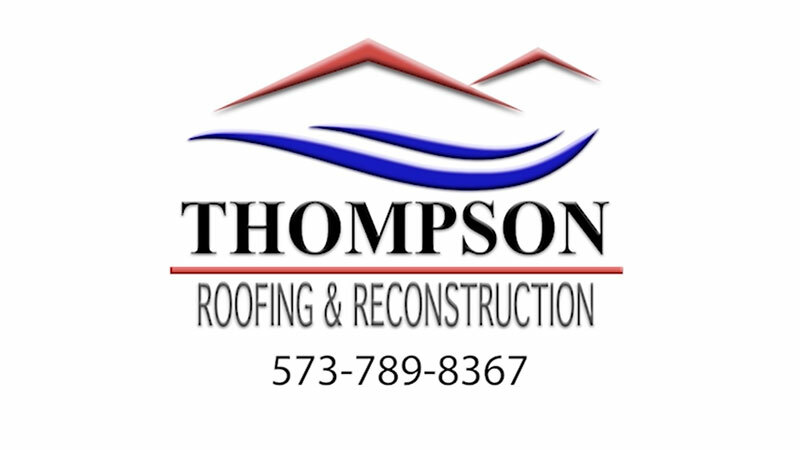 Quality is very important to the team here at Thompson Roofing & Reconstruction. That is why we have some of the best roof inspectors in the area, and we are constantly staying up to date on best practices so our customers receive the best care. Every project gets inspected by the company owner, John Thompson, to meet with the customers and make sure their new roof is exactly how they want it. Your toughest roof is our best work! 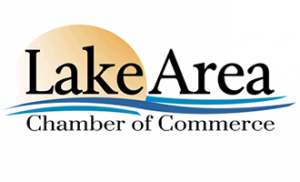 We are a locally owned business that provides professional roofing solutions to the Lake Ozark communities. Owner John Thompson personally oversees each project to ensure quality results. We strive to meet the needs of every client and provide top-notch quality customer service every time! Contact us today at 573-789-8367 for local roofing services that you can count on. Protect your home with a reliable roofing structure built to last by our professionals. We provide quality repairs and installation services for commercial roofing structures. Dealing with storm damage? We can help with a thorough inspection and claims assistance. Every roofing project gets done right the first time and that is because we believe in having a well-trained team who has the best solutions for everything from storm repairs and roof installation. Storm damage is a common occurrence in the Osage Beach and Lake Ozark, MO area. So we’ve taken steps to make sure our roofing inspectors have the top training in insurance restoration so our customers can rest assured that they will get the best assessment for their insurance claim. Roof Repair and Replacement – We make roof repairs as a way to maintain the quality of your roof. Storm damage could require repairs or even replacement. We will work with you and your insurance company to make sure you and your home are taken great care of. Shingled Roofing – We repair and restore every kind of shingle roofing. No matter if you just need to replace patches of shingles or want to re-shingle your entire home, our team will make sure the work gets done right and your roof is in better shape than before. Vinyl Siding – A professional application and quality materials made to last is important when it comes to adding vinyl siding to your home. Schedule installation or repair with one of our experienced technicians today! Soffit – The material located on the underside of your roof is the soffit board. It prevents drafts from blowing into your home and the dust and debris it carries with it. It is important to have your soffit inspected occasionally for minor damage like cracks or holes. Small animals including squirrels and birds will find the weak points in your home and build nests inside your roof if given the opportunity. The soffit works as ventilation as well to prevent overheating or moisture from collecting inside your roof. Fascia – The outer edge of your roof line, typically behind the rain gutter, is the fascia board. The fascia is very prone to water damage if the gutters overflow with water. This can lead to rot and leaks. If you think the fascia of your roof may be damaged, call us today to schedule a free inspection. Protect your home with a top-quality roof! Contact us today at 573-789-8367 if you need repairs made or re-roofing done to keep your home in the best shape possible. 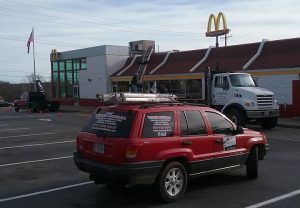 We Provide Quality Commercial Roofing Systems. Flat Roofing is a popular choice for large commercial buildings. Flat roofing provides extra space for installing large heating and cooling units or creating a green roof system to use as a rooftop garden. It is a great option for businesses who are looking for a low maintenance and environment-friendly rooftop. EPDM is popular for being a low maintenance a budget friendly material. It is a single-ply roofing membrane that is used on flat roof buildings. 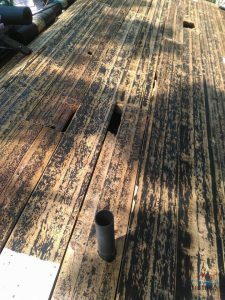 EPDM is simple to install and some even come in a peel and stick application further simplifying the installation process and leaving little to no mess to clean up later. TPO is 100% recyclable and contains no chemicals or plasticizers making it the number one choice in roofing for business owners looking for an environmentally-friendly material to use. Of all the single-ply roofing materials, TPO has the strongest seams. It is considered the most durable and resistant to damage. Standing Seam Metal Roofs are becoming the best choice for sloped roofs because of their durability and resistance to rot and mildew. It is a long-lasting material and holds up well against harsh weather. It can also reflect the sun away from the house reducing heat and the energy bill cost. 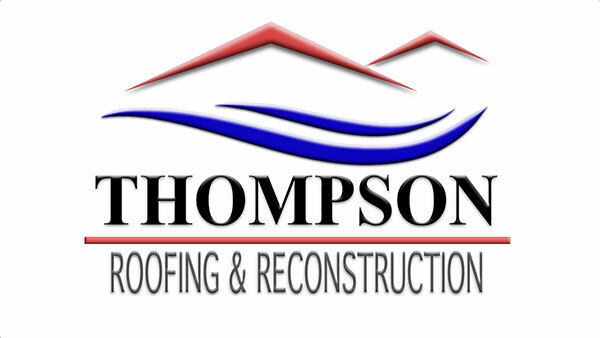 If you need a professional team of commercial roofers, contact Thompson Roofing & Reconstruction today at 573-789-8367. Whether you need a new roof system or minor repairs, you can trust our team for quality work on your roofing system. Roof Leaks – Weak or worn areas of the roof could become the source of leaks if left ignored for too long. If your roof requires maintenance call our professional roofers today. The repairs will go a long way in improving the quality of your roof and preventing further damage. Missing Shingles – Losing shingles is a common occurrence in storm weather conditions. It is best to have shingles replaced as soon as possible so no further damage is caused. Weather Damage – Wind and hail can wreak havoc on your roof. We have seen a lot of damage as a result of storm damage, and we have the solutions to get your roof in better shape than it was before. We are available 24/7 for weather emergencies. Give us a call if your roof has suffered storm damage, and we will come out and patch the damage to prevent it from spreading. It is important to us that you get a fair assessment when it comes to insured damages. That is why our team of inspectors are trained in insured roofing restoration, so we can make the job as stress-free as possible for our customers. Insurance claim assistance is just one of the many related roofing services we offer. When you need fast, reliable roof repairs in Osage Beach and Lake Ozark, MO, contact Thompson Roofing & Reconstruction at 573-789-8367! Our teams can get your roof patched and sealed up in no time! 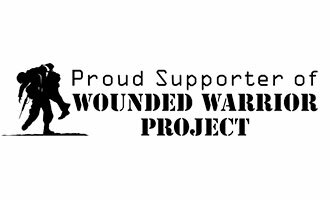 Updated on February 28, 2019 at 2:18 pm by Thompson Roofing & Reconstruction. In Need of Quality Roofing Repair or Replacement? Call Us Now to Schedule Your Free Roof Inspection!